If you do not have Adobe Acrobat and are wondering, "How do I open a PDF file?" you have some options. The following list describes the top ten applications – in alphabetical order – that can be used as an alternative to Adobe. You may even be surprised to learn that you already have at least one of these programs installed on your computer right now. You can convert just about any type of file to a PDF file using CutePDF Writer. When you download and install this converter, your computer sees it as a printer driver. In order to use CutePDF Writer to convert a file or document into a PDF file, all you need to do is go to the print settings for the application you are using. For instance, if you wanted to convert a Microsoft Publisher file to a PDF, you would open the publication and go to the File menu or click the Office Button and select Print. Then, simply select CutePDF Writer as your printer and click Print. Rather than printing a physical copy of the file, it creates a PDF version that you can save and use as desired. Another similar converter that creates PDFs from Word documents and many other types of files is doPDF. This free application installs a virtual print driver onto your computer. After you download the software and install it onto your computer, it will show up in your Devices and Printers or Printers and Faxes folder. Open the file from which you want to create a PDF version. 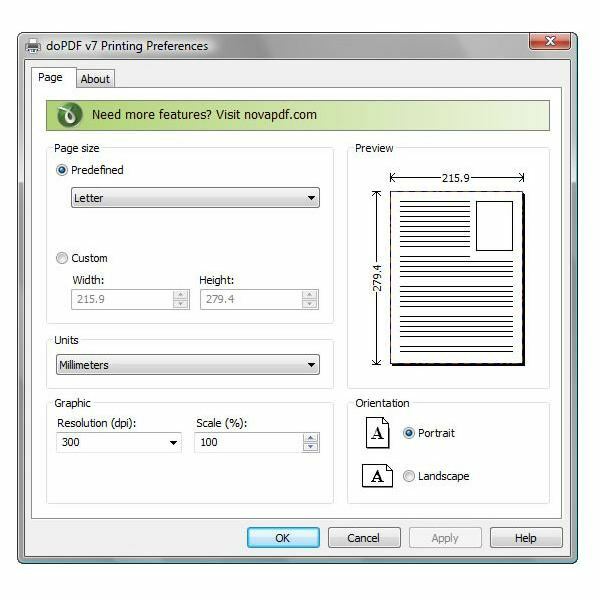 Go to the Print menu and select doPDF as the printer that you want to use. 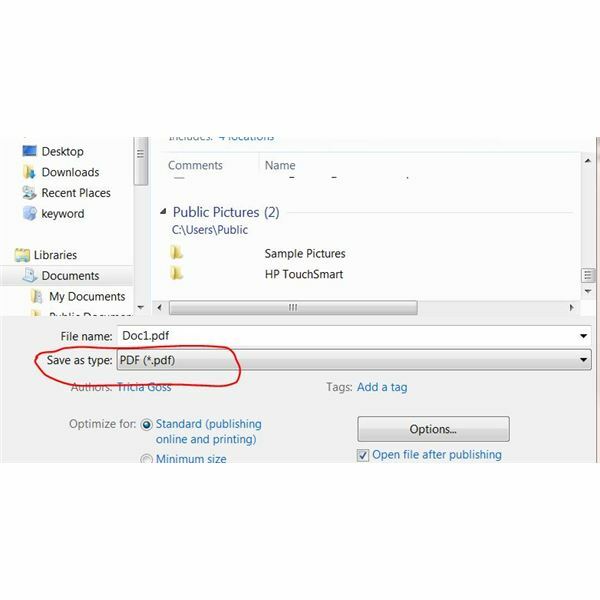 Click the Print button and select the location to which you want to save your newly created PDF file. If you are a Mac user and you want to be able to create and open PDF files, you will appreciate FormulatePro. Not only can you use it to open PDF files that you receive in emails or download online, but this freeware also makes it easy to create and edit your own PDF files.You can use it to fill out a form that is in PDF format. You can drop in your own graphics or even draw or write on it using your mouse or a tablet. You can also save and print your PDF forms. Depending upon the version you are using, if you have Microsoft Office installed on your computer you may not need any other special software to create your own PDF files without Adobe Acrobat. If you are using Microsoft Word 2007 or 2010 – or many other Microsoft Office 2007 or 2010 applications – you can save files that you create or open in that application as a PDF file. In Office 2007, you need to download an add-in from Microsoft first. Once you have done so, PDF or XPS will be new options in the Save as Type list when you open the Save dialog box. If you are using Microsoft Office 2010, you do not need to install any special software. Office 2010 offers Save as PDF as a built-in option in the Save dialog box. 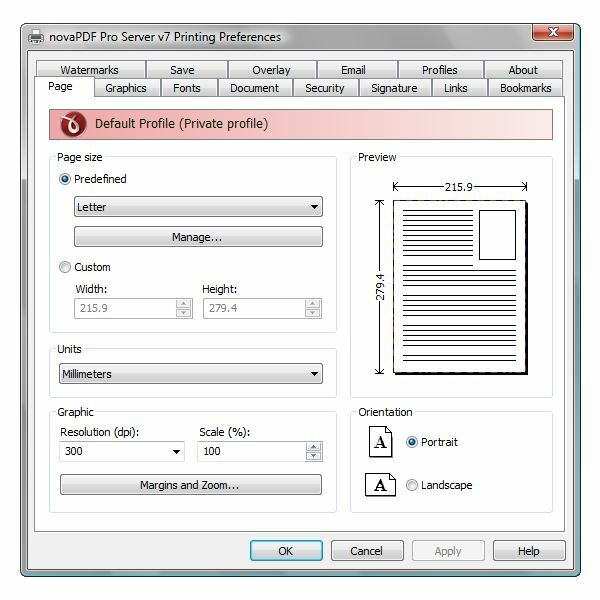 Another PDF converter application that you can download to try free of charge is novaPDF. Similar to other applications previously mentioned, novaPDF acts as a virtual print driver, allowing you to select it from the Print menu of the application you use to create or open the file you want to convert. You can also use this program to ad PDF bookmarks and links. You can share it on your network as a printer, making it accessible to all of the users on your home or office network. You can also use it to add watermarks, reduce the size of PDF files, protect PDF files with passwords and merge or overlay multiple PDF files. Nuance PDF Converter promotes itself as the "true replacement for Adobe Acrobat." Indeed, this application is a complete PDF editing program, as it allows you to convert your current files to PDF files, open and edit existing PDF files and even add effects to your PDF files. You can use it to scan directly to PDF and then convert files to Microsoft Office format, if desired. You can also use it to rearrange pages within a PDF file. It is an affordable alternative to Adobe, and you can download the current version for a free 30-day trial period to determine whether it suits your needs before you decide to purchase it. PDFCreator is yet another free software application that acts as a virtual printer driver, allowing you to create your own PDF files from new and existing documents on your computer. You can use it to "print" and save online information, such as receipts for web-based purchases, making it a green and economical alternative to printing hardcopies of such documents. Once you install this freeware, it acts as your default PDF file viewer, so that any time you download or open a PDF file, PDFCreator will start automatically. There are security features you can utilize and it also allows you to merge multiple files into a single PDF or send PDF files as email attachments. If you need an affordable way to create ebooks for your business or otherwise create PDF files from typical documents, you can use PrimoPDF. This free software application comes with a downloadable user guide and access to a forum where you can find help and support. An added benefit of this software is that your text formatting does not change when you convert a file to PDF. You can use it in practically any application to create high-quality PDF files and there is no registration required or pop-up advertisements when you use it. While Serif PagePlus may be best known as a top-notch desktop publishing application, it also allows you to open, edit and create your own PDF files. You can use it to combine multiple files into a single PDF file, or merge several PDF files into one. It offers numerous PDF editing features, allowing you to delete, add and reorder pages in a PDF file as needed, edit text in a PDF file, change, move or delete objects and otherwise manipulate your PDF files as required. While this is not a free software application, if you are in the market for a desktop publishing program it might be your best choice. The Corel WordPerfect Office X4 suite is not only an alternative to Adobe Acrobate but Microsoft Office as well, as it provides multiple office applications including a word processor, spreadsheet and presentation applications, an email client and more. In addition to all of this, you can use WordPerfect X4 to edit, create and view PDF files. You can open an existing PDF file from within WordPerfect and edit it directly from the application as well. Use it to apply passwords to PDF files for security and save your existing documents as PDFs in just a few simple clicks.